Join the back of the line girls (behind me) the much anticipated make-up must have of the new season – the Urban Decay Naked Palette – is soon to hit stores. Available on 23rd August exclusively to House of Fraser and nationwide from 6th of September. The palette that I have been lusting after since I first saw pics on some American blogs a couple of months ago will be priced at £27 and is a Limited Edition part of the Fall/Winter collection. I am very excited to get my hands on this palette. Are you? Or is it a bit dull/neutral for your tastes??? Tell me what you think. Previous Post Dermalogica, Jane Wurwand and inspirational women. I really want to get this as its something i’d definitely use, I hope it doesnt sell out! Im so exciiitteed! 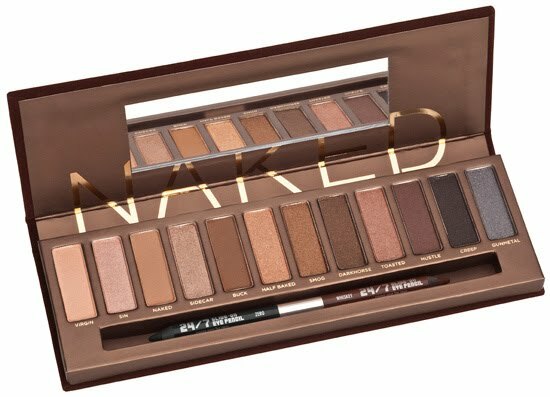 I too have been reading reviews about this long anticipated palette and will be joining the throng to get my hands on it come 23rd of August! I love the colours, perfect. Buuuut, I don’t really like palettes and would rather have lots of separate eyeshadows because I’m really inconvenient like that lol. I think it will be available online too – i’ll check it out. I’m sure it will be in Debenhams nationwide from 6th September? Thank you for posting this, I don’t know how it happened but I must have missed this one. I will definitely be trying to pick this one up! So glad that I ordered this at HoF online! Sounds like it’s selling out quikly!